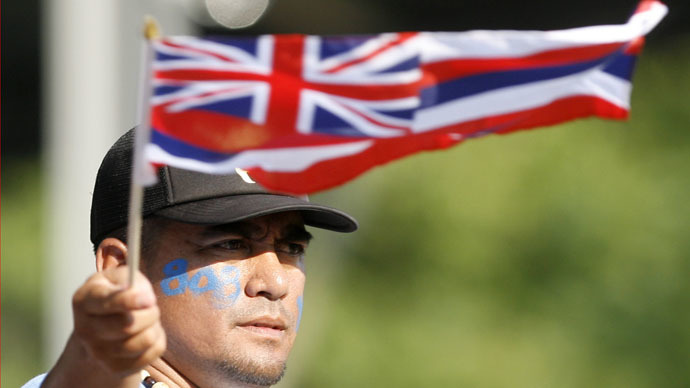 A human rights group speaking in the name of indigenous populations of Alaska and Hawaii seek UN intervention to organize self-determination referenda in the US states, saying Washington has illegally occupied it since 1959. The group is to raise the issue during next week’s Universal Periodic Review (UPR) of the UN Human Rights Council in Geneva, reports TASS. Both territories were listed in 1946 as Non Self-Governing Territories under article 73 of the UN Charter. The status theoretically subjected Alaska and Hawaii to decolonization. In both referenda were held over whether they would become fully-fledged states of the USA, which both did in 1959. Critics of the transition, including the Alaska-Hawaii Alliance for Self-Determination, accuse the US federal government of failing to hold the ballots properly, which they say should have involved offering and explaining to the people the option for becoming an independent state rather than part of the US. The group wants the UN to pressure the US over what they call a violation of UN charter and international law. It accuses Washington of mistreating indigenous peoples of Alaska and Hawaii living under what it calls American ‘occupation’. Ronald Barnes of Alaska said the US “is mismanaging the property they have no right for. “They take our land and mine mineral resources in large amounts damaging our environment,” he said. Barnes told TASS that the group would seek assistance from Russia for their cause. “It will be 150 years since the sale of Alaska by Russia to the US in 2017. If we could work with the Russians to present the historical truth and reject the distorted concepts about Alaska and our peoples, I believe it could be a good way to amend the situation,” he said. He said Alaska could become a neutral independent state between Russia and the West. The group has been active since at least 2010, although its members have long records of fighting for the rights of native peoples of Alaska and Hawaii. Activists from the two states banded together earlier under other names. For instance in 2006 they acted as Indigenous World Association, to get UN support for their cause.